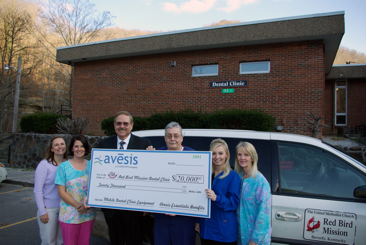 Owings Mills, MD, January 30, 2017 – Avēsis Incorporated, an ancillary benefits administrator that has been providing vision, dental, and hearing benefits for millions of members throughout the country since 1978, recently announced two significant Kentucky oral health grant awards. In December, Dr. Jerry Caudill, Kentucky State Dental Director of Avēsis, presented grants to Big Sandy Community & Technical College and the Red Bird Mission Clinic, two healthcare champions. These financial awards supported Kentucky’s Triple Aim goals of better health, better care, and better value. Big Sandy received a $30,000 grant to fund a new Community Dental Health Coordinator (CDHC) certificate program, while the Red Bird Mission Clinic received a $20,000 grant for the purchase of a portable dental clinic. Big Sandy has provided community and technical education to students in the nearby Appalachian Mountains of southeastern Kentucky as Prestonsburg Community College (since 1964) and through Mayo State Vocational Technical School (since 1937). The CDHC certificate offers continued training to individuals who have completed the Dental Hygiene Integrated Program. This means not only greater occupational opportunities and earning potential for the students but the provision of much-needed oral health services in their communities. The CDHC is a new but integral member of the dental team, providing oral health promotion and disease prevention and community outreach duties. Big Sandy will join just two other teaching locations in the country to provide this certificate. The first 15 students will be welcomed to the program in February of 2017. Because this is not a degree program, traditional financial aid is unavailable. That’s why this $30,000 award from Avēsis is so important, as it will serve as a scholarship fund so that hygienists, hygiene students, and social workers can be trained. 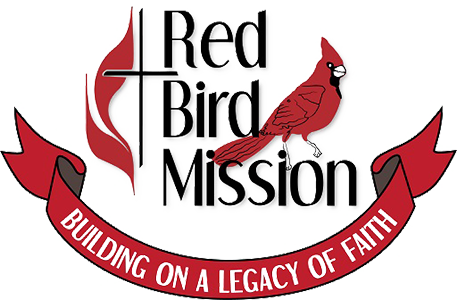 The second grant award was presented to Red Bird Mission Clinic, a high-profile clinic located in the heart of the Appalachian Mountains, where transportation is difficult, employment is sparse, and income is below the poverty level in 29 to 37 percent of the families who live in Bell, Clay, and Leslie Counties. This non-profit was founded in 1921 as a school and has grown to a full-service mission of the United Methodist Church, the only mission of its kind in the United States. Dental Director Dr. William Collins, current president of the Kentucky Dental Association, will use the award for procurement of equipment from Nashville Dental that will allow mobile dental clinic operation at schools, senior centers, nursing homes, and other remote locations. The van will be equipped with a dental chair, a dental unit for basic exams, a mobile x-ray unit, an autoclave, dental hand pieces, and other necessary equipment. The equipment and supplies, which are being purchased from Nashville Dental, will also make simple restorations and extractions possible. Patient screening through blood pressure checks, A1C blood tests, and BMIs, done prior to treatment, could identify and refer those needing more extensive health care to medical doctors. “This generous grant will help us deliver a desperately needed service,” said Dr. Collins. “It will provide necessary dental care to needy children and disadvantaged adults currently not receiving it.” Population groups served by the Red Bird Dental Clinic live in remote, rugged terrain, and many low-income patients do not have transportation to the clinic. Red Bird hopes to make a difference in “Promise Zones,” some of the poorest counties in Kentucky. “We are thrilled that Avēsis saw the need and has become a true community partner,” Dr. Collins said. Tying these two grants together, Red Bird Mission will employ one of the first graduates of Big Sandy’s CDHC certificate program to aid in the oral health coordination of their target population. The mobile clinic is expected to hit the road early next year, with the University of Louisville School of Dentistry joining for some of the clinics. Dental care is of significant concern, as decline in oral health is associated with a decline in overall health, as tooth decay and periodontal disease can lead to serious health issues, like heart disease and respiratory illness, which can spread from untreated bacterial infections. Yet, according to the CDC, only 62 percent of adults over age 18 have visited their dentist in the past year. “As Kentucky’s premier Medicaid dental benefits administrator serving approximately 1.1 million KY children and adults,” said Dr. Caudill, “Avēsis endeavors to support new and innovative opportunities that increase access to quality dental healthcare across the state.” With these two grant awards, Avēsis continues to lead the way in Kentucky’s dental health progress. Avēsis, a wholly owned subsidiary of The Guardian Life Insurance Company of America, has been a national administrator of vision, dental, and hearing care plans for nearly 40 years. Avēsis Third Party Administrators, Inc.